One of our highly-sought-after signature facials with our regular customers due to its beautifying and whitening properties. Hence, it is perfect for those with dull and lifeless skin. It works to improve skin uniformity and texture for a fairer and luminous complexion as it effectively smoothens, tones and lightens the skin. It is truly a beauty secret for a whiter, brighter and rejuvenated skin and perfect dream weapon against signs of ageing. This is an extraordinary skin whitening facial exquisitely designed to achieve a brighter and fairer complexion. At the same time, it works meticulously and beautifully to achieve a smoother and uniformed skin tone and texture. It is one of the best beautifying facials in Singapore which is part of our award-winning series of signature C-Matrix Facials. Some of these signature facial treatments also won several facial awards for its innovative and high-effective facials for skin brightening and dark eye circles. As a matter of fact, our C-Matrix© Whitening Facial is an award-winning facial itself, having garnered “The Best Whitening Facial” in Harper’s Bazaar Spa Awards. This is rather not surprising due to the exquisiteness of the facial with its rich Swiss heritage. And not to mention its meticulous steps and premium skincare ingredients used. What’s So Unique About C-Matrix© Whitening? 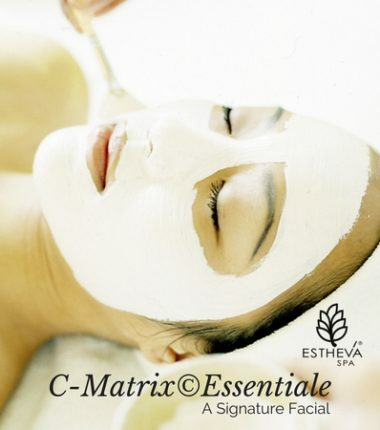 ESTHEVA has discovered the use of the patented Collagen-Matrix. This is a unique natural mask made of collagen in its purest form obtained from native collagen fibres. It is able to generate high rates of protein and DNA synthesis with healing properties. The collagen mask is able to store 30 times its own weight in humidity. Therefore, it is able to offer outstanding moisturizing properties. During the treatment, the bio-collagen mask is able to transport and deposit moisture and active substances onto and into the epidermis and dermis. With the mask inherent magical properties, the most precious active skincare ingredients can now be infused for skin boosting results. Using advanced Swiss skincare technology, a formulation with the award-winning and innovative Alpha+Alpine Lighteners as the main active ingredient for lightening effects, in synergy with Swiss Alps botanicals, will deliver unsurpassed whitening and anti-aging results. For an intense work-out and to prepare the face for the unique treatment, the facial therapist will perform a highly energizing and deep facial massage. The facialist will then apply the collagen mask. The performance of the collagen mask is enhanced with a customized HyperTonic Lotion, according to skin type, problem and desired treatment effect. Hence, C-Matrix© Whitening Facial is highly suitable for dull and lifeless skin and for those who desires a fairer skin complexion. It is able to improve skin uniformity and texture for a fairer and luminous complexion. It works to effectively smooths, tones and lightens the skin. In addition, it works to diminish pigmentation and age spots for beautiful younger-looking skin. This is due to its cell renewal and whitening-inducing (inhibits the production of melanin) properties. As such, it is truly a beauty secret for a whiter, brighter and rejuvenated skin and a perfect dream weapon against signs of ageing. 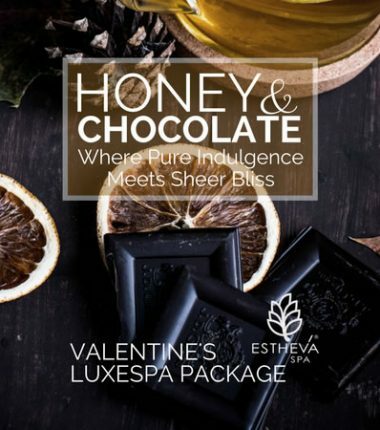 And is definitely one of ESTHEVA’s most popular signature facials. This is a deep-tissue massage to help you get back into enjoying your physical activities. Great for relieving muscle aches fast and to help you recover speedily from physical strain. It is performed with camphor massage cream mixed with our unique blend of essential oils. It’s highly popular with the physically active and sports-conscious, including marathon runners.